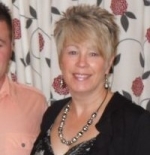 Mary Joined the LMC in May 2000 having previously worked as a PA for a Sales Director in the Finance Sector. She attended Cumbernauld College in 1992 as a mature student undertaking a National Certificate Medical Secretarial course. This was followed with a HND in Office and Information Management and a direct entry into a third year BA Business degree course at Glasgow Caledonian University in September 1996. Mary graduated from Caledonia University with a BA Hons in Business in 1998. She is happily married with two children and two grandchildren. 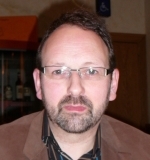 Ian manages the training offered to practices for the two clinical IT systems; EMIS and Vision, and also for the Microsoft Office Suite of programmes. He advises practices on many of the national guidelines and regulations around General Practice, such as Visitors from Overseas, Freedom of Information, Confidentiality and Data Protection. In addition he offers direct support to Practices on non-contract areas of Practice Management, such as Staff Development, staff issues, sickness, maternity pay, and contractual terms and conditions. He can be contacted at the LMC offices. Mrs Elaine McLaren, LMC Administration Assistant. Elaine attended Langside College attaining certification in administrative studies. She is responsible for organising and managing the IT training courses for EMIS, Vision and Microsoft Office and also coordinating training schedules for ACAS. On phoning or attending the LMC officers Elaine may be your first point of contact. She lives in Rutherglen and is married with two children.